My clan is filled with great people. We all met in strange ways, but we’re connected by our love of Destiny. Our clan leader was helping strangers get the Flawless Raider trophy in original Destiny. Tim–yes, the same Tim that writes for PSU, who’s one of my best friends–is another clanmate, needed the Flawless Raider Trophy along with us. It was luck that we found someone who had the patience and skill to guide us. We got equally luck in that he eventually became our clan leader. From there, I met the rest of our amazing clan who all had equally amazing stories of how they met each other. This prompted us to change our name to Fate and Luck. We all met by chance, and have made a Destiny family. This, in part, is what Destiny is for me. I want the voices of these friends to be heard as well. From the moment I could game, I aligned myself with PlayStation. This doesn’t mean I haven’t played on other consoles. When I did, though, I found problems with the games. Regardless of if there was a problem or not, I just didn’t enjoy playing on something other than PlayStation. Because of this, you can imagine that I had issues with Bungie and Halo. On paper, Halo should have been my favorite game. A story-focused shooter where the main character was special. This game had Mark written all over it. However, because it was an Xbox exclusive, I disliked it. I nitpicked the game apart so that my Xbox friends wouldn’t think they were right. I was unfair to both Bungie and myself. Fast forward a few years, and now Bungie is on the stage of the PlayStation 4 reveal and showing off their new shared world shooter, Destiny. 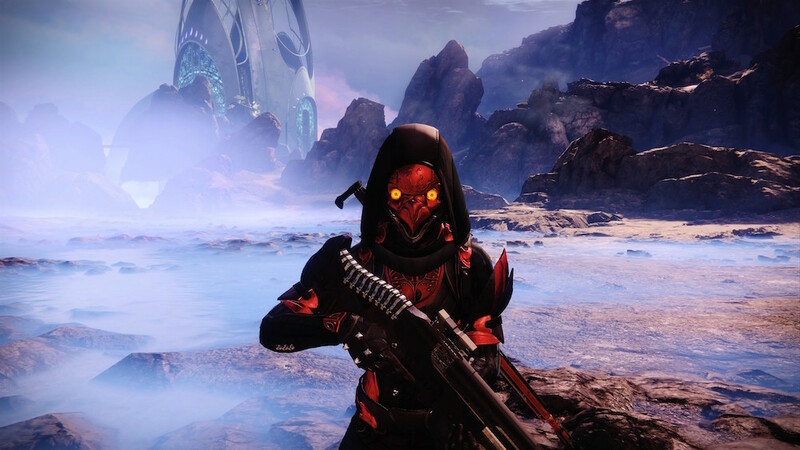 Destiny was like nothing I’d ever seen on a console. 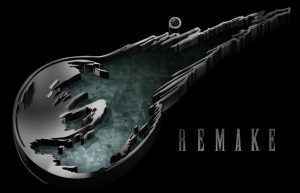 It was like an MMO, an RPG, and Halo. Yet somehow it also wasn’t. This was the first of its kind, and the reason we now have the term “shared world.” Destiny seamlessly blended single player with co-op. A game where you could go it alone, with a friend or friends, and also experience strangers running around with you at the same time. My first public event is still one of my favorite memories. The sky turning black and Ghost telling me that a Warsat was falling. I didn’t know what a Warsat was or what I was doing, but not too long after I saw three Guardians running to my aid to share in the bounty. Destiny took what I thought I loved about video games and told me I was wrong. I was a story-focused gamer who cared little for gameplay. Because of this, I should have hated Destiny. 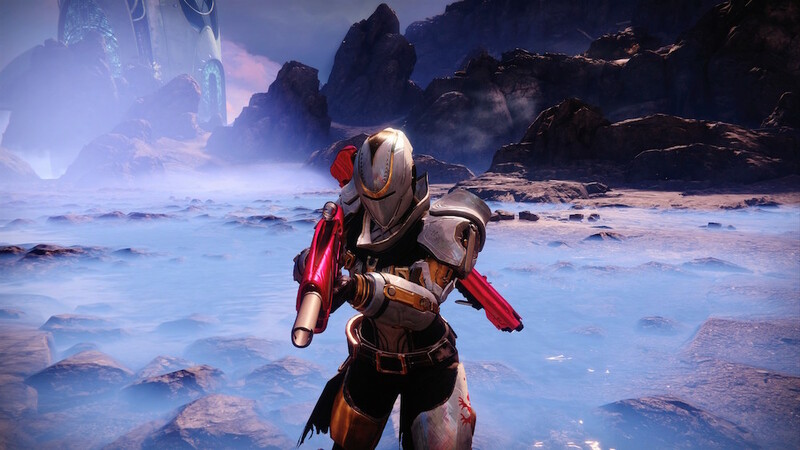 Destiny’s story was jagged and straightforward. We see an enemy, we shoot the enemy. Any other game I would have ripped apart because of this, but Destiny I kept playing. The gameplay felt so good. I became addicted to collecting all the loot I could. From the raid gear to the exotic weapons, I could feel them pulling me. It was like opening up a pack of playing cards when I was young. The excitement of ‘Did I get it?’ every time I saw an Engram drop was enough to propel me through a story I didn’t really understand. Then I made a discovery that changed Destiny for me forever: Lore streamers. My Name Is Byf and Myelin Games showed up on my Youtube feed, and I discovered something that I wish I had discovered sooner. Destiny has a story, it is great, and it is hidden. This was something I felt Bungie dropped the ball on. These amazing stories where confined to Grimoire Cards you could collect while playing. These cards contained lore and backstories to almost everything in the game, and I fell into a rabbit hole. This obsession carried me through the remaining of Destiny and into Destiny 2. The launch of Destiny 2 was a huge event. However, ever since the announcement, I felt a bit put off. Throughout the weeks leading up to launch, Bungie revealed something that, to this day, is one of the few times I actually was disappointed in Destiny. Everything was going away. All the gear and weapons I had to grind out with my clan will soon be gone. I was told this was a necessary thing to streamline the new content and this was the true game Bungie wanted to make. But this fell on my deft ears. I killed a Taken King and I wanted new players to respect my Hunter for what he was able to do in the original Destiny. I honestly can’t remember a time I’ve stopped playing Destiny. Yes, there are things they do that I question. I do take occasional breaks due to other game releases or just being burnt out. However, I always return. For this, I want to thank Bungie. They have managed to do something no other game has come close to: hold my attention for years. Yes, there are series that I’ll always return to, like Kingdom Hearts, Uncharted, Assassin’s Creed, and Mass Effect. But nothing comparisons to Destiny for me. I’ve met some great friends through this game and am now currently in a clan that shares my obsession over this game. 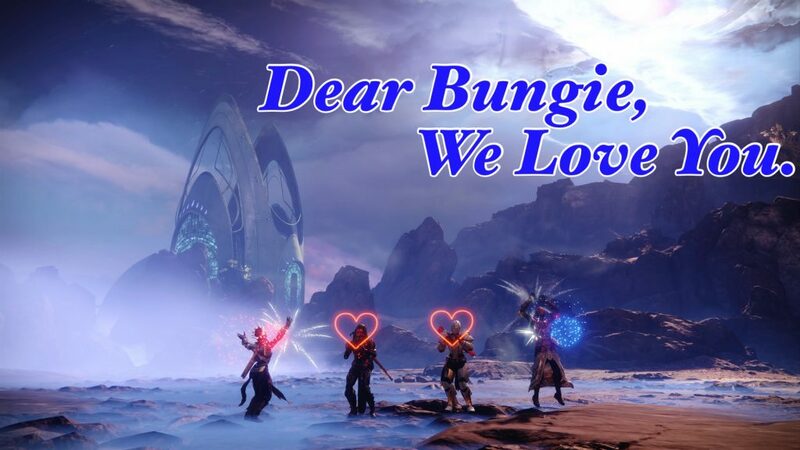 While I was thinking about thanking Bungie, they became the reason why I wanted to. Destiny for me is always about two people: my dad and my girlfriend, and how the loss of one led to the other. My dad had to be rushed to the hospital right before Thanksgiving 2014. I took a couple of days off from grad school. In those few days, I played Destiny through the Black Garden. I explored some strikes and tried the Crucible, but I stopped right after The Dark Below because I had no one to play with. I’d play occasionally in the months after, usually trying to earn Strange Coins to buy Icebreaker when Xur sold it. I had mostly stopped playing, though, and tried to convince some friends to buy Destiny. One of them finally did on August 23, 2015. The reason that I know this is because I got the text at the cemetery as my family started making arrangements since my dad had died early that morning. I came back and got caught up before The Taken King with my friend. I got hooked as a way to cope with my loss. Looking for more people to play within the hopes of doing raids, I posted on a Trophy website that where my friend and I used to work. One person I sort of knew answered me. I recognized the name, but I had never spoken to him. He quickly became a friend and while he was introducing us to raids and Nightfalls, I met her. We became friends quickly and often traded messages over our similar interests. 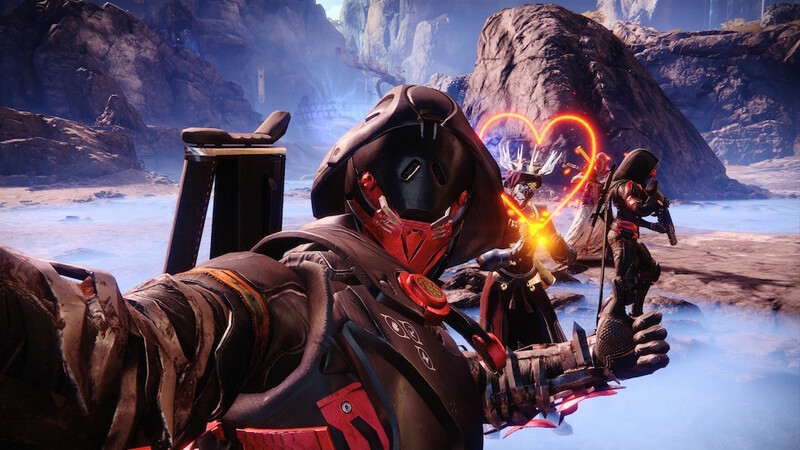 Over the Strikes, Nightfalls, and raids, that friendship developed into something more. We both wanted the same things. Circumstances finally let it happen, and it’s been two years since we fell in love. That’s Destiny to me. The saddest thing that I’ve gone through led to the best thing to ever happen to me. It wouldn’t be possible without it. I’ll always have a strong attachment to the game. It’ll always be special. Together, that small group has stuck together: Tuff, myself, Jules, and Liz, and brought in other new people to create this little tight-knit family. All fate. All luck. It probably sounds ridiculous to an outsider, but Destiny has played an enormous role in my life over the past several years. I started playing, I think, within the first two weeks it was out. I was hooked almost immediately and was having a blast with my very first first-person shooter. The Titan class was my first choice, and she is still my main. 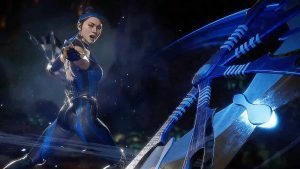 Who DOESN’T want to smash the hell out of some aliens with electric fists, protect your teammates with an impenetrable force field, and hurl flaming hammers at the bad guys? The game has had so many positive effects on my life. I started playing during a difficult part of my life when I was really depressed and had no friends to hang out with. When Destiny came along, I had no idea what was coming. I have met so many wonderful people playing this game (Jules, Mark, Sydney, Dale, and Randy, among many more), but one person in particular. My boyfriend and I met about three years ago, during a Nightfall, and have been dating for two. It’s really funny how things turn out. I invited him to go take down Oryx. Later on, we started hanging out more and more, and the rest is history. We have a puppy now, a very good girl named Tali (yes, like the best Mass Effect character), and we’ve moved in together. It went rather well, in my opinion. There are so many things to say about the game. 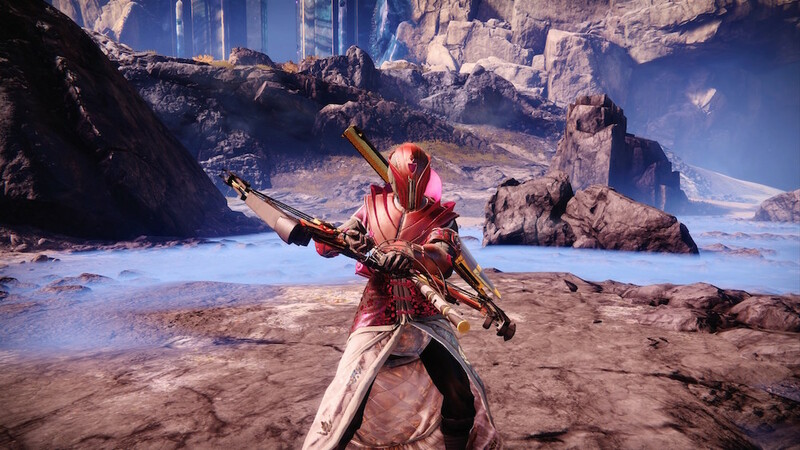 There are lots to improve: Please give Titans meaningful exotics, stop giving them trash-can shoulders, improve matchmaking for Crucible (not for me, I hate it, but I have heard so many complaints from a certain someone), stop making PvP a necessary step for so many quests and give people a choice between PvP and PvE steps instead, and I would love it if Wanted enemies had a chance to drop strike specific loot. That said, there’s a lot to love. I have never played a game more than this one, and I don’t think I ever will. There’s always more to do, a better role to get, friends to play with even if it’s just for fun, and things to explode in spectacular ways. I put a lot of time into this game and got far more out of it than it has gotten out of me. So, thank you Bungie! I can’t wait to see what’s coming. My relationship with Destiny, for its lifetime, has been hot and cold. 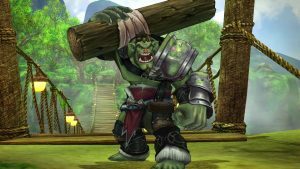 There always seems to be an expansion where I take a step back and focus on other games. The happened with The Dark Below, losing its nice pacing to what I perceived as convoluted progression. House of Wolves brought me back for a while, but The Taken King kept me invested for its entire duration. This also happened in Destiny 2. The base game had me invested from start to raid, keeping me yearning for the next challenge and step along the way. Then Curse of Osiris left me behind, mostly because I had so much going on in my life that I couldn’t catch up. Being so far behind, Warmind didn’t coax me back in with what I read on it. Then Forsaken landed. It gave my warlock the kind of support class I had always wanted in Destiny. When I officially got back in, thanks in no small part to my dear friend, Mark Kriska, I learned exactly what the warlock could do on all fronts. I fell in love again. This greased me back into the grind again. The grind is an investment, but the balance between reward and effort is on a path I’m more than willing to take. Bungie knows how to keep me around. Sure, the company makes mistakes here and there, and I step back. But Bungie always has me keep one eye on the game at all times, even when I’m overburdened with my life. Thank you, Bungie, for taking chances, and thank you for never taking your game for granted. Just over a year ago, Destiny became a huge part of my life; my boyfriend is a huge fan who made me one as well. I joined his clan and made a bunch of new friends to play and raid with. 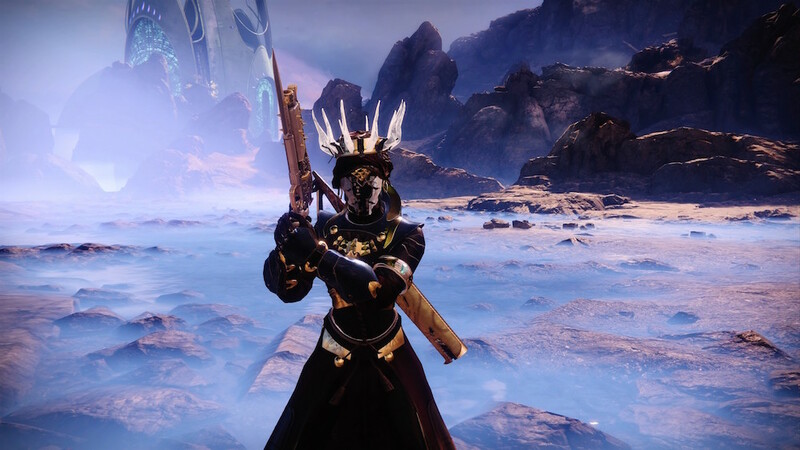 Destiny sort of became “our thing.” With each weekly reset or a new season, you can bet we’re both online checking out everything new happening for our guardians. Being able to get new gear for my guardians is one of the things I look forward to most with new seasons. There have been times when the gear for a certain class wasn’t something I liked, but that just gave me the chance to hunt gear for my other characters. Releasing more exotics and gear sets with new seasons for each class is definitely something I would love for Bungie to do. Everything Bungie has going on in the game right now is super exciting, though. The Drifter’s story this season is so intriguing, and I can’t wait to see what happens with The Nine. Next season is going to be just as great, and I honestly can’t wait for what’s to come. I may want all the gear, patrols, and planets from the original Destiny in Destiny 2. I hope that Destiny 2 is the game that Bungie continues to add upon. I may also hope that Bungie brings the old raids back as part of the Infinite Forest. Nevertheless, I’m extremely happy with where Destiny is right now and the potential of its future. I want to thank Bungie for creating this game that is now a huge part of my life. I’ve never been more engaged with Destiny than I am right now. From raiding every week with my clan, finding all the new lore, getting into Reckoning and Gambit Prime, to just running around with my girlfriend. Thank you, Bungie. Always remember that for every negative person there is an endless amount of positive supporters. We may be silent, but we are many. Keep your eyes, and head, up Guardian.